You can only change the alignment of closed shapes. If that's an open path you can't do it. Can you please check if that's the case? I understand that until the shape is closed, it can not be determined what is inside and outside. But it could be taken from the direction of the line (left and right). That is the case, yes. Just checked and it's the same in Illustrator. Would be a nice option to have, or at least grey out the Align options. Why left to right? Or for that matter, what if the path is irregular with a lot of curves & has no obvious or unambiguous left to right direction? 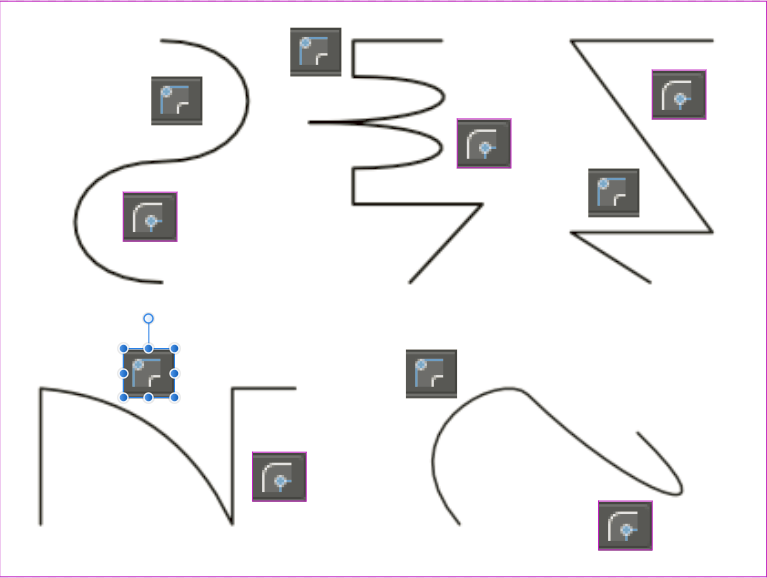 Consider for example even simple paths like one shaped like the number 3 with both end points vertically aligned or a C shape with inward curving end points. It always has the beginning (the first node) and the end (the last node), and so it is obvious, where the left side and right side (if I look down the road/paths from the beginning to the end). Just leave it as inside and outside; if you pick the wrong side it's not a massive operation to click the other icon, is it? I mean, it doesn't really matter; as long as there is a visual representation. But we are talking about defining in some meaningful way the inside vs. the outside of an open path of an arbitrary shape, right? So consider these paths & please explain how transversing them from their first to their last nodes would do that. Call it right/left, inside/outside, 1/2, grapefruit/strawberry. As long as there's a visual representation, it's fine, surely? EDIT: And why does my AD leave the purple selection box on objects?! Just as I wrote earlier. The path, even though it is more complicated and self-inflated, has its definite end (red). The direction from the beginning to the end is clear, and arrow is always located on the right side of the segment. I'm not with a PC, so I had to use pictures from web Designer Help. But how would the stroke be exported in an .svg file? AFAIK, SVG assumes there is a center point for a fill that is determined by the vector perimeter, and that can only be determined if the shape is closed. The 1st and last nodes of the shape can be reversed, but that doesn't do anything to define inside and outside. 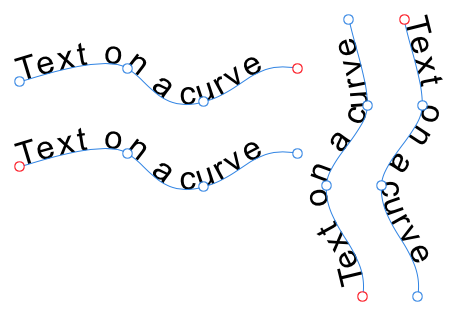 I suppose there might be a way to create a routine that finds the the 1st and last input for line A-B = B-A, and does an XY offset for a stroke. But again, how to render that into the SVG standard, which defines inside and outside by projecting a ray from a(n) implied center to infinity. Your picture shows the first arrow on the right side of the segment but the second arrow on the left: it's completely arbitrary. And what about an 'S' (or an inverted 'S') where one half of the curve is concave on the right but the other half is convex? 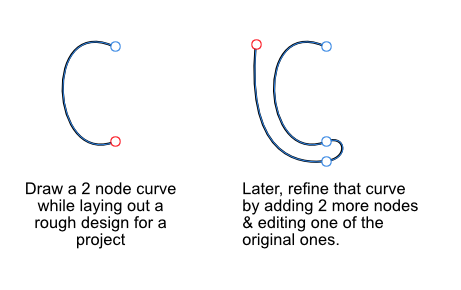 So how exactly should the "visual representation" of those curves change? 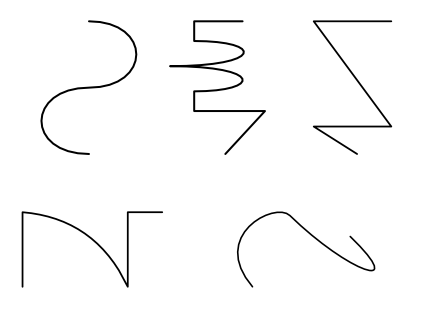 IOW, if you were to change each of their alignments, in what direction would you want each of their strokes to move uniformly: left, right, up, down, or maybe along some diagonal? The stroke alignment options have no meaning for any open curve because they do not completely enclose an area & therefore have no definite inside or outside. It doesn't matter which end you start from or if you choose the left or right side as a reference point as you move along it. "Left side" & "right side" do not mean the same things as "inside" & "outside" in any objective or normal real world sense. Consider for example an isolated section of curved fencing in the middle of a field that does not form a closed perimeter. How could anyone determine what is "inside" that section & what is "outside" it? i think it would make things confusing. 3x the same shape, what is outside? No, the arrow is always on the right as you walk along the path from start to end. If you consider the right to be the outside, then aligning the stroke to the outside will put the stroke on the side with the arrows. No, the arrow is always on the right as you walk along the path from start to end. Nowhere, if the shape is open - just left or right. And it depends on where the path begins and where ending (a red point that can not be seen on your picture - it is necessary to select the path). We already can align text to one side or the other of an open path, so why are people having difficulty understanding how a stroke could be aligned to one side or the other of an open path? True, but why consider the right to be the outside? I don't think @Pšenda said that it was, only that the direction from the beginning to the end is clear & that by 'waking' along the path from beginning to end arrows could always be put on the right. You could say the same thing about putting them on the left, but I can see no compelling reason to consider either side the outside. Even if you initially consider the concavity of the partially enclosed area as arbitrarily defining a curve's inside, later on in the project considering that same concavity as defining its inside may border (no pun intended) on the absurd. True, but why consider the right to be the outside? Only because one of left and right had to be the outside in the context of the point I was making, so I happened to pick right, but I could have picked left just as easily. Note the significant first word in my sentence: "If you consider the right to be the outside [...]". I don't think @Pšenda said that it was, only that the direction from the beginning to the end is clear & that by 'waking' along the path from beginning to end arrows could always be put on the right. Yes, and that's why it is entirely possible for a stroke to be aligned to a specific side of a path, regardless of how the path meanders across a surface. Obviously an open path doesn't have an actual inside or outside, but the discussion has been about stroke alignment where the choices of alignment are named as inside, outside and centre, not left, right and centre. My use of the word outside was only due to the naming of the stroke alignment options. The concavity/convexity of a curve being used to define inside/outside didn't cross my mind. 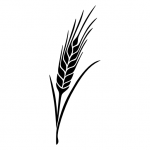 They share the aspect of being definable as being on one side or the other side of the path. You've become sidetracked. Issues involving the RTL/LTR directionality of text have no bearing on the subject matter, which is the alignment of a stroke to a specific side of a path. 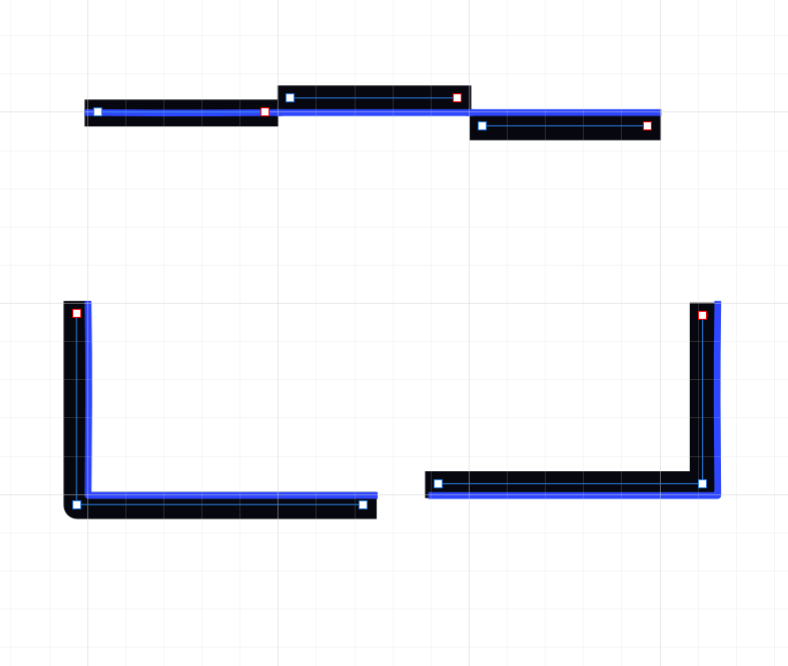 i wonder how you could allign a stroke to the grid. I may be misunderstanding your question, so in what way are you considering the problem of grid-aligning a stroke on an open path to be different to the problem of grid-aligning a stroke on a closed path? 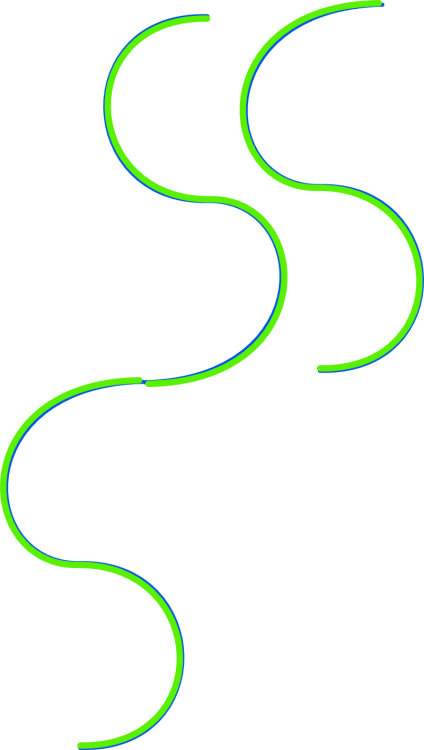 The software could automatically reverse the direction of the path when the path is flipped across an axis, thus producing a correctly mirrored result. Which is pretty much the point: they are named that way because they only affect things that do have a definite inside & an outside. Expecting anything else, whether based on path direction or anything else to arbitrarily define which side should be considered to be the outside or inside of an open curve, makes no sense to me for the reasons I have already mentioned. I can't think of any practical value for it, but if there is one someone please tell me what it is (& if considered relevant how the names should be changed to make that clearer). Without that, it just seems like an unnecessary complication that would do more to confuse than to clarify the difference between open & closed paths.